SIRS has collaborated with Alibaba Business School, the training platform of Alibaba Group with focus on global talent development. With comprehensive and systematic training solutions, it meets a full spectrum of learning needs from government groups, entrepreneurs, SMEs, Startups, e-Commerce practitioners and students. 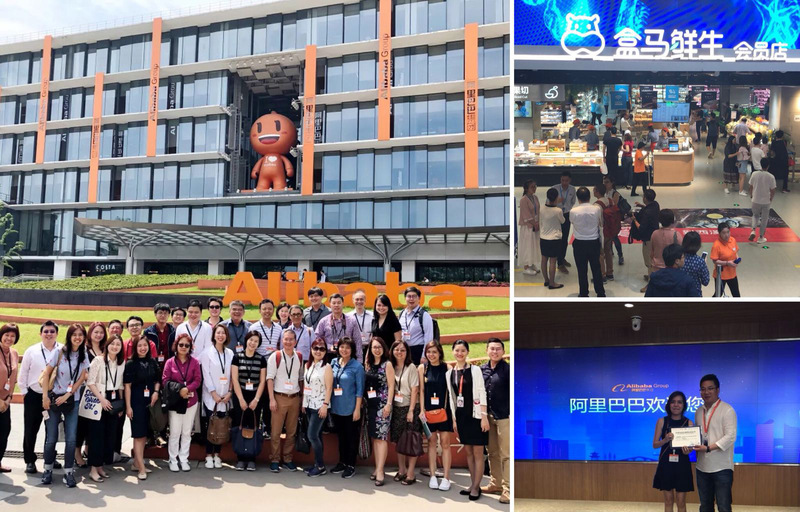 They currently have two study trip programmes lined up in Hangzhou to bring you the exclusive opportunity to learn first-hand on Alibaba Group successful ecommerce strategies and marketing approaches. Find out more about their CEO and CEO Master Programmes below! Digitalisation has taken the retail industry by storm. Adaptive retailers have been reaping huge benefits in the digital journey by using digital technologies to enhance operation efficiency and expand customer. If your business is prepared to capture the growth in the digital landscape, understanding the elements behind the success of major companies is the first step. The CEO programme will bring you the exclusive opportunity to learn first-hand on their successful ecommerce strategies and marketing approaches. You will hear from leading industry practitioners and engage in a networking session with the Alibaba Business Executive Team. The study trip aims to provide you a competitive advantage in achieving above-market growth. Eligible to use individual SkillsFuture Credit to pay the nett course fee/s. The CEO programme will bring you the exclusive opportunity to learn first-hand on Alibaba Group successful ecommerce strategies and marketing approaches. You will hear from leading industry practitioners and engage in a networking session with the Alibaba Business Executive Team. The study trip aims to provide you a competitive advantage in achieving above-market growth. Business owners know very well setting up an e-commerce site alone is not enough. How do you get a breakthrough in your e-commerce business and get ahead of competition? Alibaba Group’s Taobao University has specially researched challenges and pain points of businesses venturing into e-commerce and, together with experienced industry practitioners, designed this course to help enterprises strategize their transition into e-commerce, setup holistic operations, and redesign product structures to capture market share and be a first mover in the market. Learn how your traditional business model can evolve through developing an elite task force to implement holistic operations through e-commerce sales models, innovative content marketing techniques and data-based product development and planning. You will also understand how to choose the right service providers from Alibaba’s platforms to explore cross-border business opportunities through B2C or B2B channels, gaining a foothold in the global market. Learn how your traditional business model can evolve through developing an elite task force to implement holistic operations through e-commerce sales models, innovative content marketing techniques and data-based product development and planning. You will also understand how to choose the right service providers from Alibaba's platforms to explore cross-border business opportunities through B2C or B2B channels, gaining a foothold in the global market.